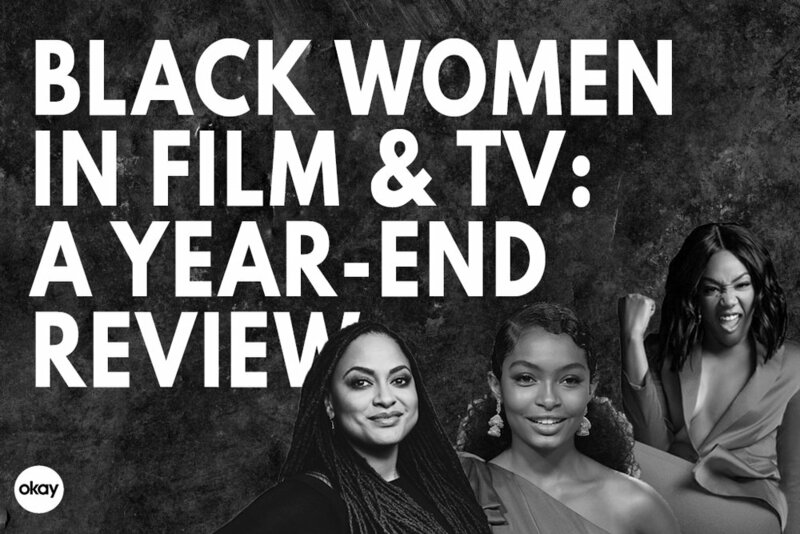 Ava, Issa, Lena, Tiffany were just some of black women in film & TV that shone as bright lights during this garbage fire of a year. I wouldn’t blame you if the first phrase that came to mind when describing 2017 was “garbage fire”. Between the president colluding with foreign agents (allegedly! ); Flint still not having clean water, Puerto Rico still not having power, the FCC voting to end net neutrality, the absurd word ban at the CDC, and story after story after story of men in entertainment and journalism sexually assaulting, abusing, and bullying women (and other men), it is hard not to feel exhausted and drained as this year comes to a close. But even in the midst of all of this foolishness, there have been several bright moments. And when things are this bad, turning to the arts can offer solace and also motivation to keep fighting for what you know to be right. And it is not surprising that it’s black women leading the way in providing those bright moments. Here are just a few that we noticed as we say goodbye to 2017 and hello to 2018. With the November release of Mudbound, her sprawling epic film tracing the lives of two families, one black, one white, in post-WWII Mississippi, there has been talk that Rees could very well be the first black woman nominated for a Best Director Academy Award—and it would be richly deserved. I have often wondered just how the heck Ava DuVernay gets any sleep given how busy she is. In addition to racking up four Emmys for her film about mass incarceration, 13th, she also collected a BAFTA, produced a second season of the absorbing family drama Queen Sugar on OWN, announced she will be making a series about the Central Park Five, and is wrapping up post-production on her adaptation of A Wrinkle in Time— which marks her as the first black woman filmmaker to helm a movie with a $100 million budget. DuVernay’s energy is inspiring and I cannot wait to see her vision on the big and small screens in 2018. 2017 was the Year of Haddish. She starred in the critically and commercially successful Girls Trip, made history as the first black woman stand-up comic to host Saturday Night Live, cemented herself as the best storyteller on the late night talk show circuit, taped a comedy special for Showtime (Netflix, it’s your move now!) and released a book. She’s also set to produce and star in The Oath, a satirical thriller also starring John Cho and if there is any kind of justice in the world, they will be love interests. Read the full list at Okayplayer.